Hey everyone! I hope you’re having a wonderful day! You can subscribe to my weekly newsletter which is full of DIY and Home Decor tips and tricks by just filling in your name and email below. Once you confirm your subscription, your password will be emailed to you and you’ll get these 4 free Valentine’s printables along with all the other printables and ebooks contained in the Freebies Vault. I can’t wait to have you onboard! 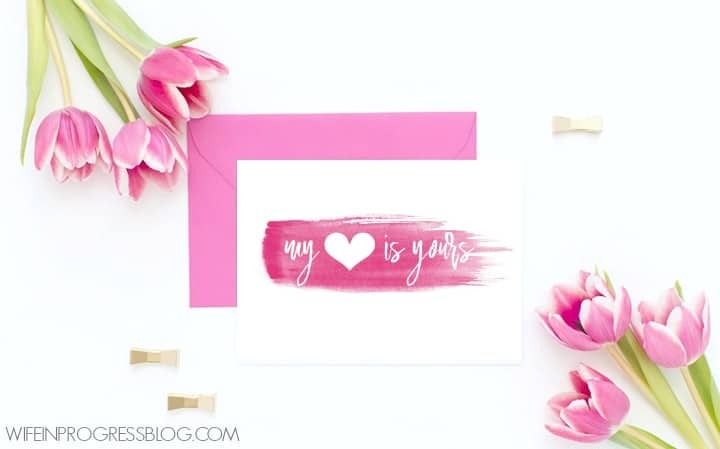 These cute Valentine’s printables can be framed as-is for some cutesy decor or made into your very own adorable Valentines cards! Fun, right? Hi there, I’m not sure what I am doing wrong but I join the page to enjoy the free printable yet I can’t get in when I put in a required pass word. Uugg…..such cute printables. Help. So cute! The watercolor design is so soft and pretty.